Which Should You Apply First – Lime or Fertilizer? Is Lime Harmful For Pets? Whether you own and operate a farm and depend on it for your livelihood or are an avid gardener, keeping your soil healthy is key to growing high-quality and beautiful crops and plants. In agriculture, especially, understanding the health of your soil is important. 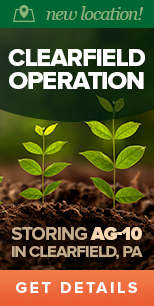 Over the years, as you grow different crops and plants in the same soil, the acidity rises. This occurs because of plant decomposition, erosion and leaching. Having a more neutral pH balance is the key to soil health. You won’t have healthy plants and crops if your soil is not healthy. When you are unable to grow quality crops, it affects your bottom line. Using limestone on your soil can help alleviate these issues. Applying limestone to soil helps balance its pH levels through different chemical reactions. Liming has several benefits, like allowing plants to take in more nutrients and minerals, making certain herbicides work more effectively and removing some toxins from the soil. Why Apply Lime in the Fall? You can apply lime at any time of the year — as long as the soil conditions will not damage the application equipment and there is nothing blocking the soil from the application. Liming an empty field with dry soil is ideal. However, a fall limestone application has many benefits and advantages over other seasons. So why should you lime during the fall? The chemical reactions that help balance the soil’s acidity do not happen overnight. It takes between four and six months for the soil to reach a good pH balance. Liming in mid to late fall will prepare the soil for the spring growing season. It will do its stuff during the winter when you aren’t growing anything anyway. Lime also requires water to help the chemical reactions. Fall rains help the limestone. If you lime during the summer, you may experience a hot and dry season. With those conditions, the soil may not be at the desired pH levels when you need it to be. Liming in the fall can help fix that problem. Lastly, it’s important to lime regularly. Typically, you can apply limestone every two or three years to keep your soil healthy. You can measure the acidity of the soil with a pH test so you know exactly when to reapply. Use lime: Limestone isn’t just for farmers. It can help your lawn be less patchy and get it to that vibrant green that you love. Consistently clear leaves: Letting leaves degrade can make the acidity in your lawn’s soil rise much faster. Clearing away the leaves as they fall will keep that from happening. Aerate: As you mow your lawn more frequently, the soil becomes compacted. This can have a negative effect on the soil’s health and the plants growing in it. Aerating the soil loosens it up. 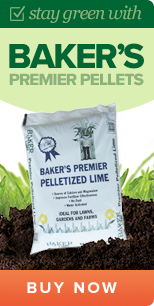 Baker Lime offers exceptional-quality limestone products that will improve the health of your soil. To learn more about the benefits of limestone or to request a quote, contact us today. The Best of all Limestone: Its pellet size provides easy spreading with little dust. It's water-activated, breaking down into finely pulverized limestone to begin to work right away! 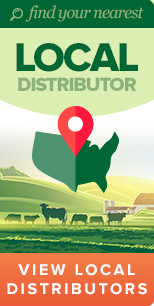 Have questions or need a quote? Contact our representatives! Copyright © 2019 Baker Lime.com. All Rights Reserved.